The Details. There are so many to capture with your brand new baby. In order to make sure that we don't miss a thing, we will meet face to face (preferably) or over the phone to discuss any specific requests you may have. We will go over the hospital you will deliver at, what time of day I will arrive at the hospital and your family. I love to learn about your family ahead of time so that I can begin the session knowing a little about each personality. I especially want to learn about any older siblings and what interests them. I will remain on-call the weeks surrounding the birthdate and after our initial meeting and will be prepared and waiting for that exciting text or call to let me know, "baby is here"! The Moments. These moments are filled with connections and emotion. There is so much beauty in these raw, quiet and sometimes loud first moments of life. My passion in photography is the ability to capture these connections between your family. I find that during these first days parents are sometimes in awe of their little one and I focus on capturing that. The Setting. 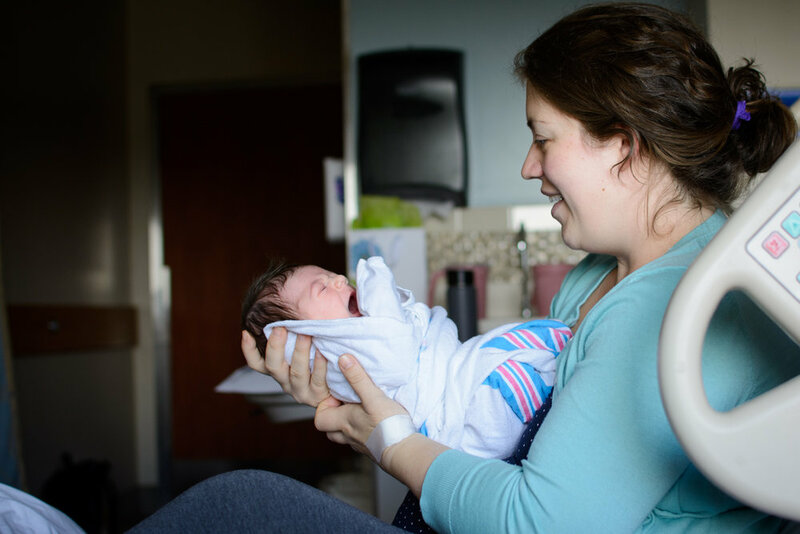 The hospital room, birthing center or your home (in the event of a home birth) is where these moments will unfold. 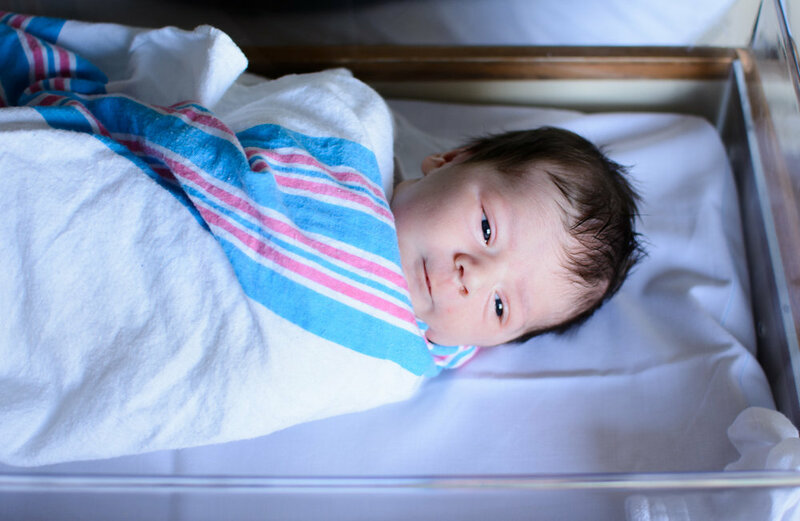 The newness of your baby is portrayed best wrapped in a traditional hospital blanket or with just a diaper. There is very little posing that takes place during this session. I will help to guide the session but overall prefer that you forget that I am there.